What type of animal is best suited to pet sitting with a family? Pet sitting with a family has become sought after by pet owners., being close to traditional kennels and catteries. However it’s important to assess your animal’s needs before opting definitively for pet sitting with a host family in order to know if your pet is suited to petsitting with a family. Sitting with a family – for which pets? Before you entrust your pet to a host family, you should make sure that they’re going to be happy. When you first organise a sitting for your pet, don’t forget that it may be stressed by a change of surroundings and your absence. It’s therefore a good idea to ask certain questions to determine whether or not your pet is suited to this particular option. This is the most important factor to consider if you choose pet sitting with a family. A change of surroundings can be disturbing to your pet and lead to a change of behaviour. It’s possible that due to unfamiliarity your pet will feel wary and be less approachable than at home. It’s not uncommon for our four-legged friends to struggle with being separated from their owner. With some this may induce a degree of apathy especially at the start of the sitting. For others it may lead to a total breakdown and a refusal to eat. 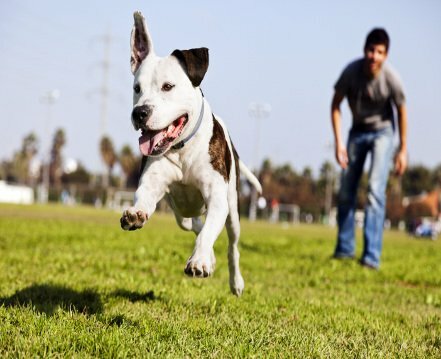 For the well-being of your animal, you need to be sure that it can tolerate your absence. In addition to the separation from its owner, your pet has also got to adjust to a new person: the pet sitter. So before opting for pet sitting with a family, you should make sure that your animal will get on ok with the stranger who’ll be looking after while you’re away. In additions to the points discussed above, there are other factors you’ll need to take into account, in order to safeguard your animal’s welfare. So while pet sitting with a host family has many advantages, there are a number of points that you’ll need to think about. If your pet doesn’t get on with certain animals, it’s vital that you inform the sitter. Then they can either look after your pet on its own or only take in other animals which you know won’t pose a problem. Your pet is accustomed to your daily routine and the surroundings of your home. Whether you live in a house or a flat, ideally you should aim to find a pet sitter with a similar style of home. Linked to this you should take account of your pet’s physical needs. If for example it suffers from arthritis, you’ll want to avoid selecting a pet sitter who lives in a 3rd floor flat with no lift.